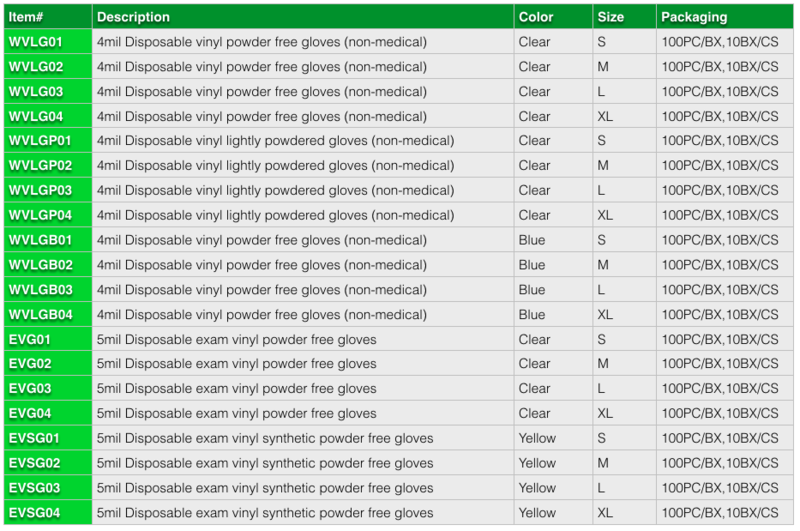 More durable than poly, vinyl gloves are closer fitting for medium duty tasks requiring good sensitivity. Latex free, ambidextrous, and flexible, their beaded cuffs provide maximum strength and durability and offer excellent wet and dry barrier protection. They can be used near a heat source and protect hands in light cleaning situations. Use for handling sliced cheese and meats; prep for fresh squeezed juice, pies, pizzas, salads, tacos, burritos, and more. Powder Free Vinyl available for operators who want a cleaner work area and for workers whose hands dry out from extended use. Made of PVC – polyvinyl chloride - a petroleum based material. Available in both powder free and light-powered.